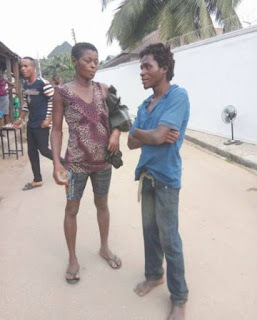 A mentally deranged couple were reportedly prevented from having s*x in Aba, Abia State on Wednesday, after they were spotted by residents. According to reports, the mad couple had been parading themselves as lovers within the area to the amazement of residents due to their condition. They tried to have s*x in an uncompleted building before they were distracted by some young men in the area who chased them out of the building in the wee hours of Wednesday.